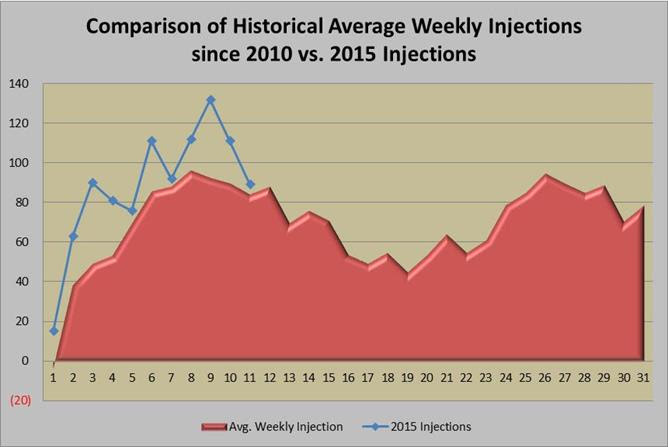 The injection report today showed a build of 89 BCF, on the low end of expectations which ranged from 87-94 BCF The market was down about $0.02/MMBtu before the storage report and has softened just a little bit as of 9:35 CPT this morning, now down $0.03/MMBtu. With heat expected to linger for the rest of the month, the bears may be out of steam, but there is not enough demand to fuel a bull run either. The market is likely to move sideways for the next week barring a significant weather event. 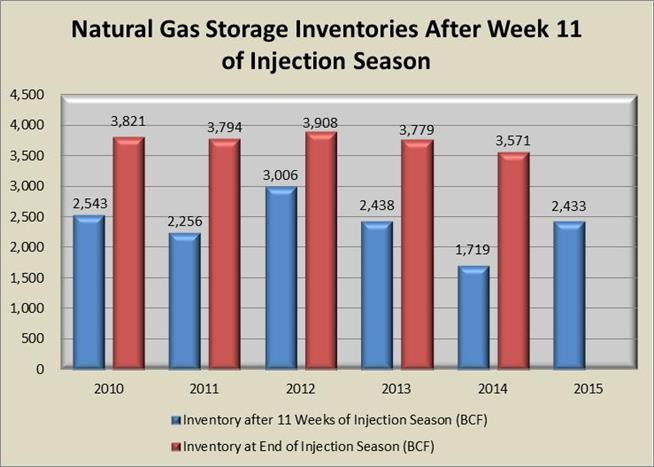 As of today’s injection report, we will only need to average injections of 67 BCF/week to reach the storage levels forecasted by the EIA. However, we have been seeing week over week declines in both production and rig counts, so while this goal sounds easily attainable, current market conditions may not support reaching the levels forecasted by the EIA. 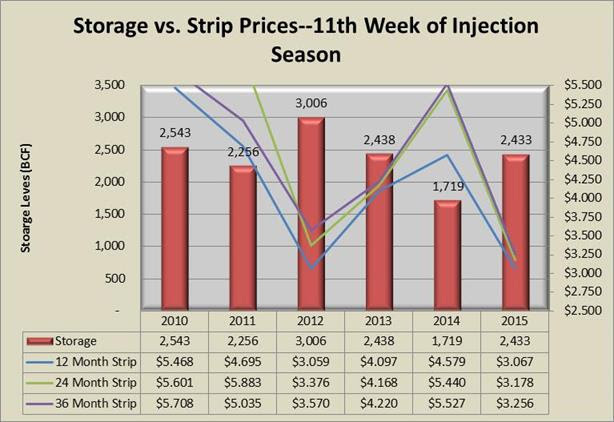 The following table compares strip prices week over week, and reflects the decline from this morning’s storage report as of 9:35 a.m. CST. 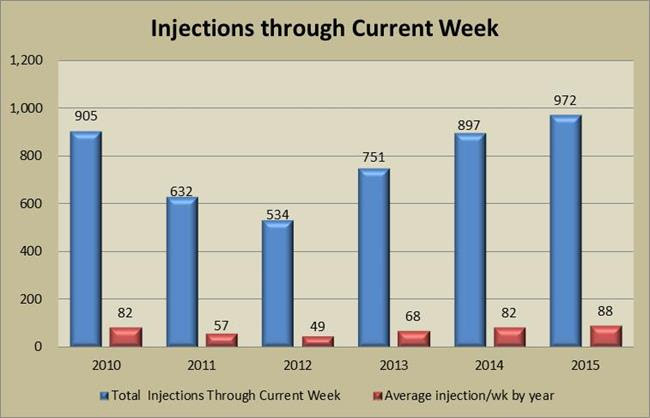 Finally, the graph below shows the injections through the current week over the past 5 years.